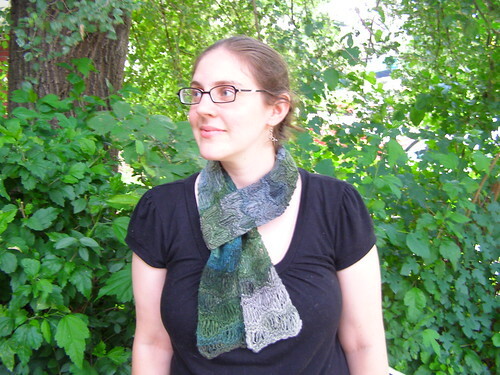 i unveiled and sold a couple of waterfall scarf kits at the last craft fair. 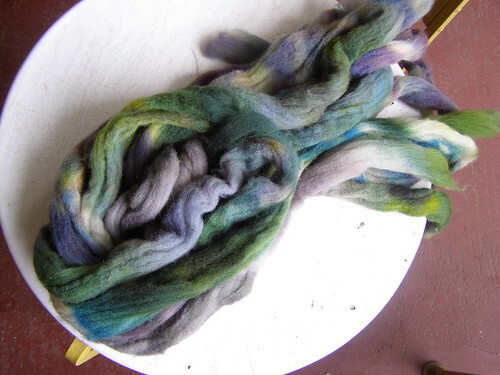 i’ve been thinking about this for a while, a way to give unsure people something to do with my handspun. plus, at least for this project, the money you have to spend isn’t as high as some of my other skeins because the yarn is a single and you don’t need that much yardage. here’s the one that finally made me think i was on to something (after much experimenting). the kits come with a copy of the pattern and a 140 yd skein of yarn. 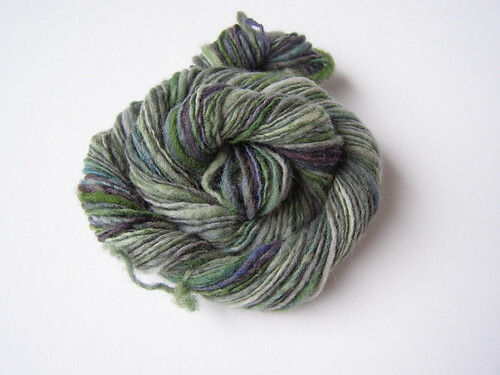 although this one is CVM, i think i’m going to stick with softer wools like falkland and bfl. maybe some south african fine. i’m also planning on coming out with a hat kit some time in the near future – something that mixes both some handspun and regular yarn. the prototype is done, but now i have to spin for it. p.s. this lovely model is rachel. you’ll be seeing more of her because she’s going to be ben and my new housemate. her and two kitties who i will also introduce you too when the time comes. 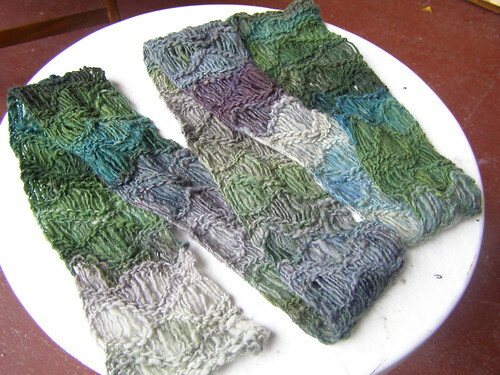 This entry was posted in cosyknitsliterally, cosyspins, knitting, patterns, scarves, spinning by cosymakes. Bookmark the permalink. Beautiful and understated. Love it! Love the scarf! Will you sell the pattern separately?